If you want to play around with Bluetooth 5, Nordic nRF52840 is probably one of the best option, and among the development board, $9/$12 Particle Xenon is hard to beat when it comes to value. But if you need a bit more storage, I/Os and features, Makerdiary nRF52840 micro development kit looks like a good candidate to evaluate, especially it supports plenty of frameworks / operating systems such as Arm Mbed OS, Zephyr Project, OpenThread, Mynewt, and others. It’s also the first MCU class board I’ve seen with a USB type C port, although I’m not sure it brings any benefits to this type of hardware. As mentioned in the introduction, the nRF52840-MDK can be used to play with all sort of software development kits, frameworks, or OSes including nRF5 SDK, nRF5 SDK for Mesh, OpenThread, Mbed OS 5, Arm Mbed DAPLink, Zephyr, Apache Mynewt, Web Bluetooth, Eddystone, and iBeacon. Best of all the Wiki explains how to use each of those in details (except for the last three), so it looks like an excellent platform if you want to experiment with different frameworks. 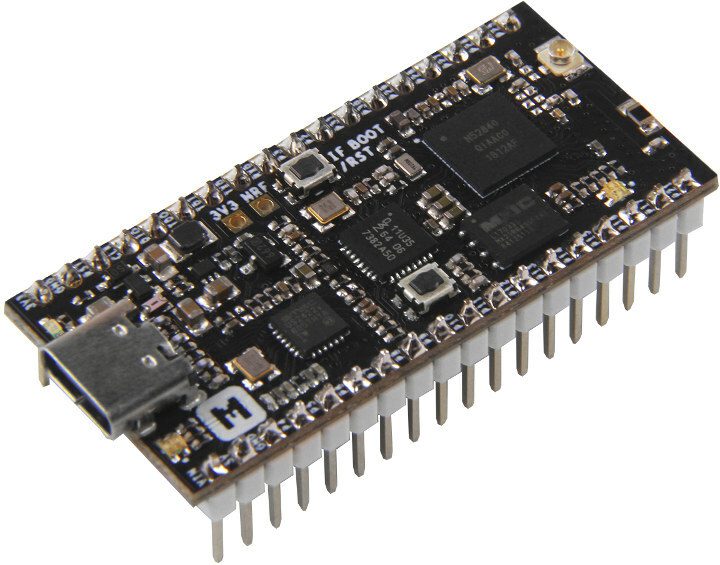 Makerdiary nRF52840-MDK can be purchased for $42.90 on Seeed Studio, or directly on Makerdiary’s online store. 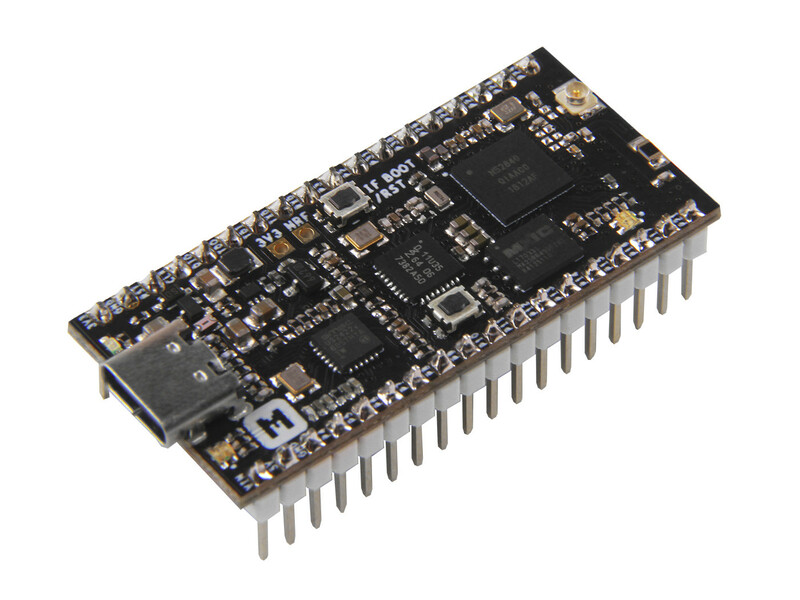 This is not the first board from the company, as they previously developed two other small nRF52832 boards. Those surface-mounted USB connectors (aka »top mount«) have a tendency to break off the board over time, especially if you actually use them in the wild. In this case they’ve failed to go the last mile by not switching to a Type-C »mid mount(ed)« one. I for would like a Tag-connect padset on the bottom side and a different on-board antenna. Other than that, the board looks okay. That’s not an SMT/SMD component, it’s through hole if you have a closer look.